In order of most recently read to read earliest. 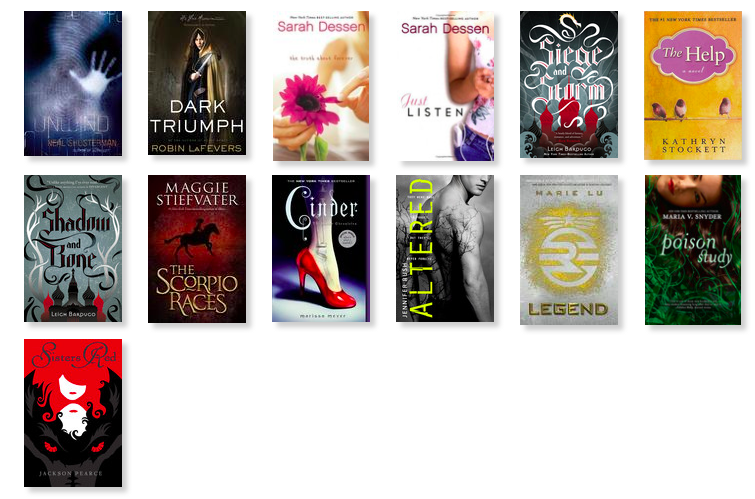 What were your top 13 book of 2013? Let me know in the comments, or share a link to your own blog post. Have a lovely day and wonderful year of 2014! haha yeah I bet! We read very similar books... I assume it's from all our book pushing! "ahhh I just read this you absolutely HAVE to read it!!! read it now!!!"